Each day brings us new and exciting Elon Musk News. In the latest edition: could the BFR chase down our alien asteroid visitor Oumuamua? Oumuamua, our galaxy’s first observed interstellar visitor, prompted many questions. Where did it come from? Judging by its appearance, just how much radiation did it encounter on its journey? But the biggest question: what could Elon Musk have planned for the giant hunk of space rock? The Big Falcon Rocket could be the first one to get a closer look at this alien asteroid. Who’s Going to Notify Michael Bay and Bruce Willis? There’s no need to train drillers to become astronauts for this asteroid. Oumuamua is no threat to Earth for now. The asteroid is estimated to be 1,300 feet long and 10 miles longer than it is wide. Due to its distance, astronomers had to rely on brightness levels to get an idea as to the size and shape of the object. We also only have artist renderings provide for images, but the asteroid seems to be pen or cigar shaped. Unfortunately, the window of observation for the object was very short. Traveling anywhere between 58,160 to 85,700 miles per hour, scientists slated a 10 – 14-day window before the rock passed even the Hubble Telescope’s field of view. Fun fact: the word “Oumuamua” is Hawaiian and it means “a messenger from afar arriving first” or “scout”. The object was also discovered by the Haleakala Observatory located in Hawaii. While Oumumua is definitely cigar or pen shaped, it probably doesn’t resemble the artist’s rendering from the European Southern Observatory. As noted in a paper published in the Nature International Journal of Science, this asteroid is dark and reddish, but lacks any gas or dust around it. Still, this thing books it. That’s where the Elon Musk News update comes into play. Some say that Elon Musk’s reusable rocket is the right hunter for this bounty. The Mars Colonization rocket from SpaceX known as the BFR could “theoretically” catch up to the alien asteroid. Conversely, something from what’s known as the Breakthrough Starshot Initiative could also be up to the task. Their smaller crafts would approach in a swarm, but…they won’t be ready until at least 2025. Alien Asteroid or Haphazard Space Debris? While many are fascinated by Oumuamua’s presence in our galaxy, others are befuddled as to its trajectory. 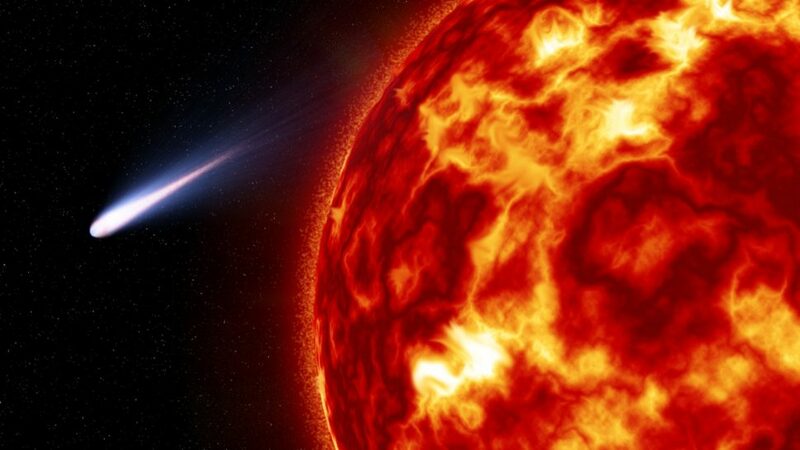 Forbes puzzled why the alien asteroid hasn’t hit the sun yet with a breakdown into how interstellar gravity works. Others contend that the object might have originated near our galaxy, but got “blown away” during the Big Bang or other huge cosmic events. We won’t know if we can’t find out more about it. Who’s got Elon on speed dial? Update: this article was corrected to say “interstellar” instead of “intergalactic”. What other applications could the Mars Colonization BFR have in discovering more about interstellar and alien asteroids? What other Elon Musk News have you heard lately? This has not been confirmed to be an intergalactic object, but an interstellar one. The distinction should be made clear.